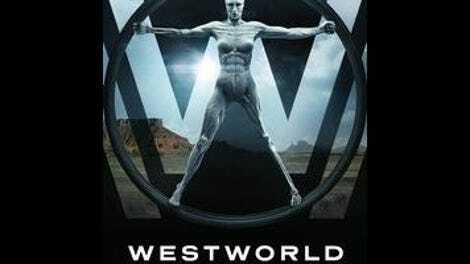 Clearly, Westworld is building towards something. Whether it’s a reveal of multiple timelines, hidden identities, or some stunning capper about the true nature of consciousness, this is definitely a show that wants you to wait until the ending before drawing any conclusions. With two episodes left in the first season, the action is pulling together and the stakes are rising, and yet elements crucial to our understanding remain withheld. That’s the reason for all the theories, good, bad, and hilarious—there’s an emptiness right now that practically demands we fill it with our own speculations. We are, in a sense, playing a game with the writers: will we figure it out before the final reveal? Or can they keep us distracted long enough to sneak in the truth right under our noses? There’s pleasure to be found in that sort of trickery, but I feel like a third question has been shortchanged: namely, will the answers, whatever they may be, turn out satisfying enough to knit together ten episodes worth of hints, insinuations, and opacity? And I have to say, while I’m enjoying the show and various performances, I’m not sure it’s going to be answer this last need in the affirmative. This is an often fascinating series, full of lyrical visuals, terrific music, some great performances, and a tremendous amount of potential. But it also doesn’t seem to know how to be a TV show, as opposed to, say, a novel or a film. Tonight’s episode, while it offered some new information, is a good example of that. “Trace Decay” starts strong, picking up soon after Bernard’s murder of Theresa and dealing with the fallout in a way I wasn’t expecting. Ford has temporarily allowed Bernard to remember the murder and his true nature, and that memory is tearing him up inside. It’s fascinating to watch, and heartbreaking in a way the show desperately needs more of; the reality of Bernard’s pain is a crucial component of its thematic intentions, and yet that pain only registers in fits and starts. Here we get a fascinating glimpse of a character we like and sympathize with struggling through a horrific existential dilemma, and it’s a fantastic marriage of concept and dramatic effect. We don’t just understand that suffering makes the hosts more “real” on an intellectual level, we see that happening in front of us. It’s an example of how the show could and should work at its best. The discussion that follows is made all the more compelling by the desperation in Jeffrey Wright’s performance, and even after Ford takes some of the mental pressure off, the actor finds a good balance between distance and despair. Ford’s instructions even offer a great story hook: he tells Bernard to erase any connection between himself and Theresa, and in exchange, he’ll wipe Bernard’s memory of both the murder and their affair. Obviously this is in Ford’s best interests to do (although he either doesn’t realize or doesn’t care that the affair might have been noticed by others), but it gives Bernard an objective that’s emotionally complicated but has a clear and heartbreaking necessity behind it. Yet he accomplishes his task almost immediately, with no real struggle (the fact that Ashley, head of security, notices something is up might pay off later, but it doesn’t cause Bernard any difficulty right now), and we’re off to other storylines, with mixed results. 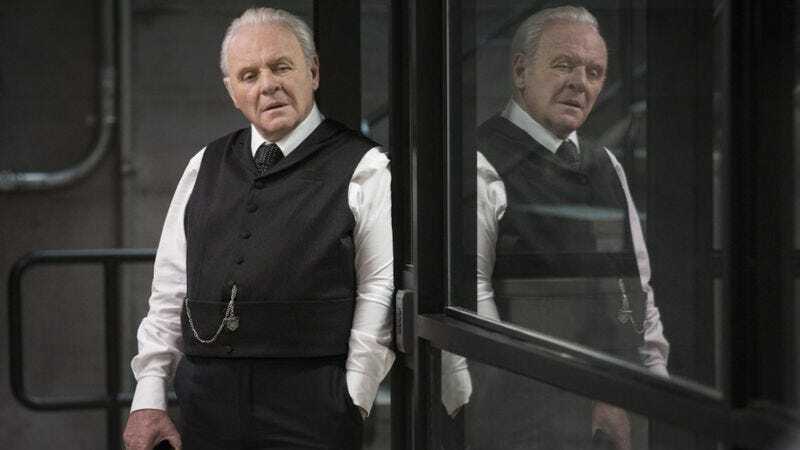 “Trace Decay” didn’t need to be about Bernard’s efforts to cover his tracks, but it’s mark of how Westworld has struggled to deliver as an episodic TV show that this introduction and casual discard of a potentially strong hook is as disappointing as it is. Wanting to know the answers isn’t the same as crafting a well-rounded narrative—it’s the reason we don’t weep over crosswords. The show hasn’t completely failed to deliver interesting characters, but it has done an inconsistent job at finding ways to make those characters matter as more than just pieces in the machine. There’s also a frustrating amount of stalling as things are held back for the presumed big reveal. Stalling is pretty much all Dolores gets this week: she and William find a group of men who were supposed to ambush them, but they’ve already been taken care of by the Ghost Nation; Dolores insists they care for the sole survivor of the group, a young man slowly dying of his wounds. (William’s disinterest in this might add some fuel to the… oh, hell, let’s save that for Stray Observations.) Later, they find a town Dolores remembers as home, and she has yet another flashback, this from the early days of the park—it’s all very eerie, and the discovery that the town she’s seeing is the buried village we saw Ford looking at earlier in the season isn’t bad. But there’s nothing engaging on a dramatic level here apart from the eeriness. Dolores is a protagonist struggling to develop agency which unfortunately means she spends a lot of time being determined to do things neither she nor the audience really understands. The result is an exercise in mood that becomes increasingly tedious as time wears on, especially when, as here, we don’t really get any more info on what she’s searching for. The fact that she and William end up back in Logan’s clutches just makes the whole thing seem that much more pointless. More and more I find myself becoming actively annoyed when an episode cuts back to Dolores, despite thinking the character is one of the most important on the show. I’m sure next week or the week after, something cool will finally happen, but until then, it’s just unnecessary foreshadowing. The Man In Black returns this week, and at least we get some more concrete information out of him after Teddy finally remembers their past together. As always, the exact amount of damage a host can wreck on a guest remains obscure (they can actually knock people out? That doesn’t seem safe), but the obscurity was worth it for a chance to find out what’s driving our man. In a sense, he’s hunting for the same thing the audience is: real, actual consequences in the narrative. Only difference is, he’s doing it because of some personal tragedy—a wife who committed suicide after years of living with the Man In Black’s withheld abuse. As always, the show’s need to dance around facts to keep things mysterious makes it difficult to connect to, but Ed Harris delivers the monologue quite well, and at least we have a better sense of him, as well as getting confirmation that he really is in Maeve’s memories, that he really did kill her and her child. We also know why: he wanted to see if he felt anything. It’s an interesting idea, although again, maybe a bit too philosophical to hang an arc on, but his revelation watching Maeve try to carry her dead daughter to safety—the discovery that pain makes us real—is something the show keeps returning to, for good reason. It’s an old idea (anything that was literally a plot point in Star Trek V has probably been around for a while), but like watching Bernard struggle with Theresa’s death, it works because we can see it in action even as the characters discuss it. We don’t need the Man In Black explaining that Maeve was suddenly alive; we see that life ourselves. Speaking of Maeve: her plan to escape seems to move forward, although again, it’s an artfully designed stall, avoiding much of anything of actual consequence even as it seems to be raising the stakes. Oh no, Felix wiped her memory! Except no, he didn’t. Oh no, Maeve killed Sylvester! Actually, no she didn’t, she just cut his neck. (In the same way she cut the Man In Black’s neck when he killed her daughter, which is a nice touch—and important, sure, because if pain makes the hosts real, maybe violence is how they demonstrate that reality.) Thandie Newton remains a highlight, and the extended sequence of her using her newfound powers to control the other robots in the park was a lot of fun (although I’m surprised there were no guests to interfere), but so much of this was simply a repeat of what’s gone before with a few amusing tweaks. Which is the major downside to a mystery show: when so much information has to be withheld to make sure the surprise is actually surprising, it’s harder to craft smaller, self-contained stories to keep pulling viewers along. The result is a show that could very well deliver on its promise eventually, but too often fails in making the wait for that delivery worthwhile in and of itself. Before Ford wipes his memory, Bernard briefly remembers choking Elsie. Not a huge surprise, but the fact that she’s probably dead is a bit of a bummer. The old Clementine has already been replaced. It’s interesting they keep the same name and pick-up lines; it’s narrative purpose is to disturb Maeve, but I guess it decreases the disruption to the other hosts if the make the transition as seamless as possible. Ford doesn’t believe in the soul. Sounds like Arnold did. Charlotte and Lee get a storyline of their own, but it’s short. I will say Charlotte picking Dolores old father out of a sea of frozen hosts seems awfully convenient for someone. Re: the Man In Black’s backstory, I guess people who like to shoot innocents in video games are the real monsters.